Earlier this year, the English Housing Survey revealed that, for what it claims is the first time, the private rented sector was larger than the social rented sector; how accurate this is may be in doubt as, while concerned with stock rather than households, DCLG’s Live Table 104 identifies that the private rented sector was larger than the social rented sector in 1961. Be that as it may, in 2012-13, 4.0 million households in England rented from private sector landlords, while 3.7 million rented from social landlords. While the private rented sector is still considerably smaller than the owner-occupier group (comprising 14.3 million households in England), it is the largest growth area, having doubled in size since the turn of the century. 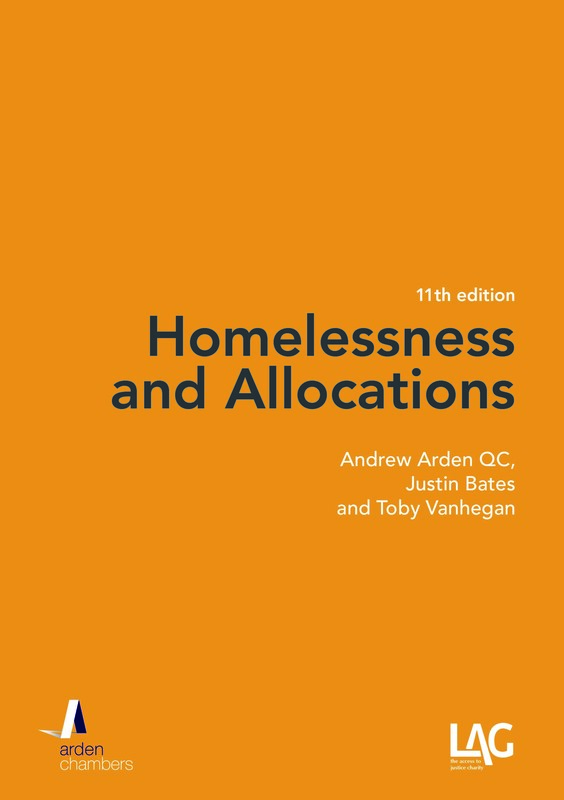 The present government is keen to see this growth continue; the enhanced ability for local housing authorities to discharge their homelessness duties by placing applicants in the private sector is testament to this: Localism Act 2011, s.148 amending Housing Act 1996, s.193. The rapid growth of the private rented has not been without problems. Rent aside, the two most important problems are security and conditions. Tenants in the private rented sector have negligible security of tenure. 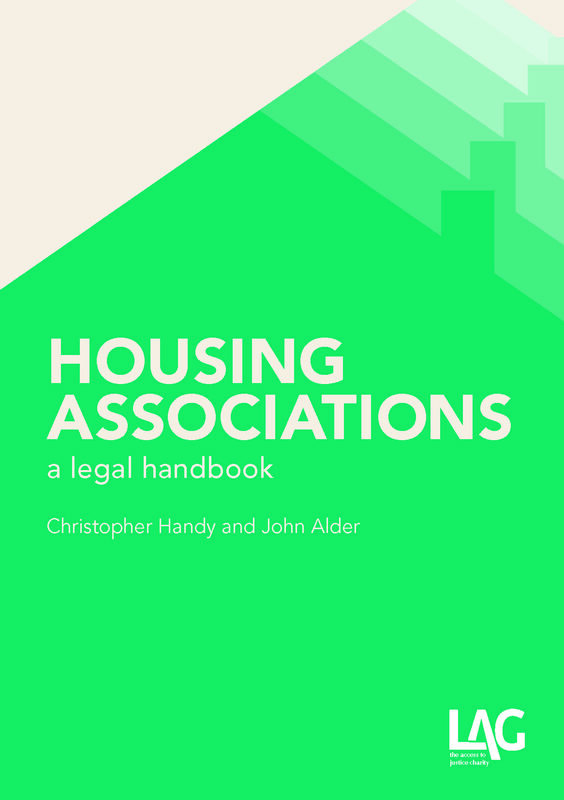 Lettings are, by default, assured shorthold: Housing Act 1988, s.19A. All that is required before eviction is service of a notice telling the tenant that the landlord wants the property back after two months (HA 1988, s.21) followed by application to court for a possession order which, provided the right procedure is followed, can even be obtained without the need for a hearing (CPR 55.11-19). While some of the private rented housing is very good, the sector also contains some of the worst stock: 9.3% of private rented homes have some form of damp problem (compared to 2.6% for owner-occupied properties and 5.4% across the social rented sector) – English Housing Survey, p.69. Indeed, 33% of dwellings in the private rented sector fail to meet the decent homes standard: English Housing Survey, p.42. By way of comparison, the equivalent proportions are 20% for owner-occupiers and 15% in the social rented sector. Concerns have been raised about placing homeless applicants in such accommodation, to the point where the Minister for Housing, Kris Hopkins MP, felt compelled to write to the leaders of a number of local housing authorities, reminding them about the Homelessness (Suitability of Accommodation) (England) Order 2012, which includes the requirement that properties used to accommodate homeless households should be in reasonable physical condition, and about the “Gold Standard” scheme, “which aims to help local authorities raise the standard of their services to homeless people”. It should not be like this. Tenants, whether renting in the private or social sectors and whether placed in it as homeless or not, have much the same rights so far as repair of their homes is concerned: s.11 of the Landlord and Tenant Act 1985 imposes an obligation on landlords of most residential tenancies to keep various parts of the dwelling in repair. The difficulty for tenants in the private rented sector is enforcement, at which point the problems of security and condition collide. While it is not always plain sailing for those in the social sector, in the end a social landlord will normally carry out the necessary works. Lack of security of tenure in the private sector gives landlords an easy way out. Eviction is often a cheaper and easier option than carrying out repairs, especially given the growing demand for rental properties. vi. the Housing Health and Safety Rating System. It is the second of these with which this post is concerned. To say that there is “anecdotal evidence” downplays the problem: in housing terms, it is a given that to complain runs the risk of eviction, and it is sufficiently commonplace that every housing adviser has to factor it in when suggesting remedies to occupiers. For the first time, there is also now some – quite stunning – data. A recent investigation by Shelter suggests that 200,000 people had faced eviction in the previous year for having asked their landlord to fix a problem in their home. While it is true that (as pointed out by the Residential Landlords Association when it accused Shelter of “needlessly playing to people’s fears”) this figure includes those who weren’t actually evicted, it is still a staggeringly high number; nor is there any reason why people who complain about housing conditions should have to risk uncertainty and even distress especially now, when the private rented sector contains many, many more families with children than has been the case over the previous five decades. If a tenant believes, rightly or wrongly, that eviction could be the result, it would be a bold move to complain. While the tenant could get a better (i.e. repaired) home, he could also end up with none at all. In some cases, tenants choose to keep quiet, even if they have a landlord who would be prepared to carry out repairs if asked. The fear is inherent to the nature of the relationship: however far we have travelled since all landlords wielded absolute, arbitrary authority, the relationship is one rooted in power imbalance – so deeply that it still has a psychological hangover which commonly ( not occasionally) inhibits tenants. The suggestion put forward in the discussion document is to extend the restrictions on relying on a s.21 notice until the repairs have been carried out. 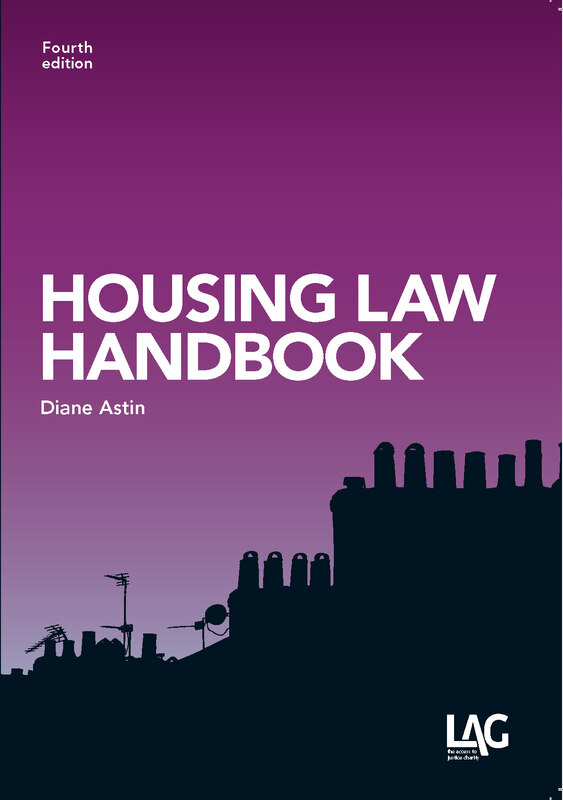 At present, a landlord cannot rely on a s.21 notice where the property should have been licensed by a local authority but has not been (Housing Act 2004, ss 75 & 98) or where a deposit has been taken and not protected in accordance with a tenancy deposit scheme (Housing Act 2004, s.215). These prohibitions have been in force since in April 6, 2006, and April 6, 2007, respectively, and the sky has not fallen in on the private rented world. The discussion document considers the possibility of a similar prohibition applying where a property is in serious disrepair or needs major improvements. A landlord would still be able to rely on any of the discretionary grounds for possession. It might be thought that this is acceptable on the basis that the court can consider the overall reasonableness of making an order for possession, as part of which the court would be able to take into account proceedings motivated by spite. In practice, however, this is marginal because the starting-point remains a level of default (arrears or ASB) sufficient to justify outright eviction (in the case of arrears, after any deduction for the counterclaim) before the issue of spite is relevant; many courts – maybe most – will take the view that what they will view as two wrongs don’t make a right; and, it is not difficult for the landlord to rebut the accusation with the simple answer that it is cheaper to repair vacant than occupied. The landlord would also still be able to rely on the mandatory ground for possession for rent arrears, Ground 8. This applies where, broadly speaking, the tenant is two months’ behind on the rent, likewise subject to any disrepair counterclaim. In those cases, the court has no discretion and must make an order for possession. Restrictions on retaliatory eviction therefore do not come into play. In both cases, therefore, the tenant who seeks repairs will need to be careful not to give rise to putatively legitimate grounds. The two difficulties identified in the discussion document are how to identify an appropriate “trigger” for introducing a restriction and how to prevent spurious or vexatious complaints (which presumably would include those raised after the landlord has already begun – or threatened – eviction). The discussion document suggests that the appropriate trigger might be “following a local authority inspection or even later in the enforcement process.” It appears to be suggested that this sort of trigger would prevent spurious complaints that are designed merely to frustrate a landlord’s entitlement to possession. To suggest that such an important protection as is being proposed should only apply once there has been a local authority inspection (or even later in the enforcement process) is surely to create yet another postcode lottery, in which the degree of protection afforded to tenants depends entirely on the relevant local authority’s willingness or ability to take action: many authorities now routinely fail to enforce lower level planning breaches simply because of cost; few authorities (if any) have reinforced their Tenancy Relations services to reflect the increase in the private rented sector; EHOs are massively overstretched (and were never in living memory one of those services which authorities resourced generously). The better option could be to leave this as a matter for a court to adjudicate on: if it turns out that there is no disrepair, the court would be able to make an order for possession in the usual way; if, on the other hand, the tenant has made a complaint about disrepair and the landlord then serves a s.21 notice, the court should be able to presume that the notice is retaliatory and dismiss the claim for possession unless the landlord can satisfy it that the notice was not given to the tenant because of the exercise of his rights. A model, of sorts, can be found in employment law, where an employee who is dismissed because of whistleblowing (a “protected disclosure”) is treated as having been unfairly dismissed: Employment Rights Act 1996, Pt 4A & s.103A. One possible problem with this is that many landlords serve a s.21 notice at the start of a tenancy, which they can then rely on at any point later on. The answer to that would be to implement the proposal put forward by the Law Commission in Renting Homes, so that a s.21 notice (or its equivalent under those proposals) lapses after four months if proceedings have not been commenced. The alternative, as we have discussed previously, is for the courts to develop a positive defence of retaliatory eviction. One way to do this would be to acknowledge that an art.8 defence can be raised in the private sector, as the overwhelming body of Strasbourg law now seems to suggest (see, e.g., Tysiąc v. Poland (2007) 45 EHRR 42, Zehentner v. Austria (2011) 52 EHRR 22, Zrilić v. Croatia, Application no. 46726/11, 3 October 2013, and Brežec v Croatia  HLR 3), and as the High Court has recently held (although, on the facts of the case it did not assist the occupiers): Manchester Ship Canal Developments v Persons Unknown  EWHC 645 (Ch). See also the minority judgment of Sir Alan Ward in Malik v. Fassenfelt  EWCA Civ 798. On this scenario, retaliatory eviction would be deemed to be a disproportionate response to a (valid) complaint about disrepair. The blog previously bemoaned the lack of legislative development on the issue of retaliatory eviction: while the discussion document states that it does not recommend any policy or legal changes, any measure to address retaliatory eviction will necessarily require the latter. Whether the implicit premise of the proposal – that (once the works have had to be carried out) most landlords, as reasonable people, will allow the tenant to remain and enjoy the benefit of the works – is correct is something only time could tell; for the moment, the proposal is not unattractive and – re-introduction of security and/or enhanced local authority resources aside – probably the best that is likely to be on offer.